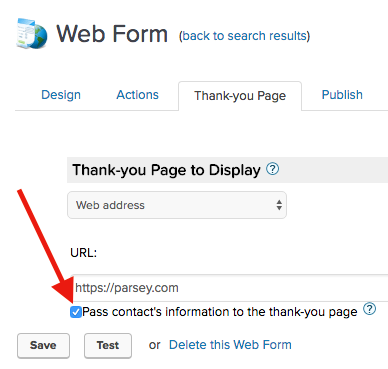 In order to track your prospects and customers from the inbox to the web, across your varying websites and landing pages, be sure to pass the contact details to all URL's Infusionsoft redirects to. There are various places in Infusionsoft where this can be done. 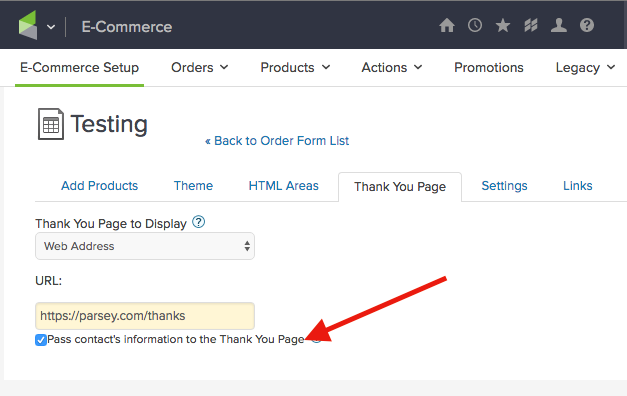 Tips: The only time you would choose to append the contact Id is when you're including a product link in an Infusionsoft email template. 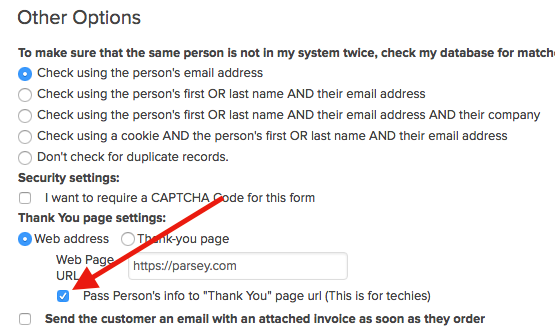 To do so, append &contactId=~Contact.Id~ to the end of the product link. 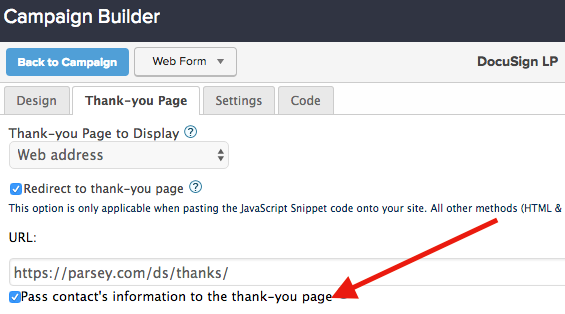 You would not append the contact Id if you were pasting this link on a static site. Tips: After building a bundle, you'd append &contactId=~Contact.Id~ to the end of the product bundle link. The only time you would choose to append the contact Id is when you're including a product bundle link in an Infusionsoft email template. 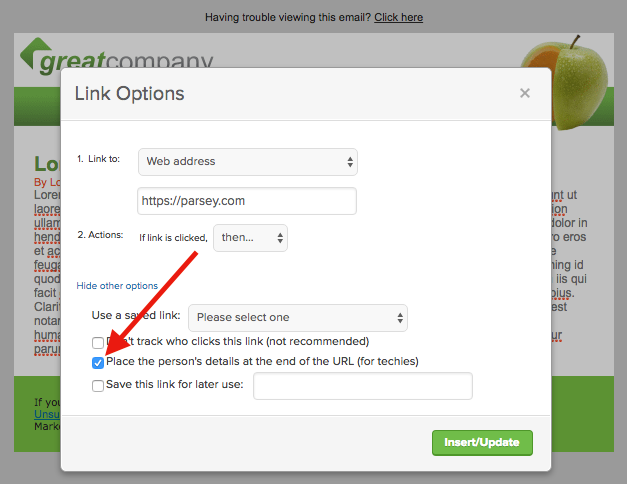 You would not append the contact Id if you were pasting this link on a static site. Tips: The Link URL will end with a serialized Id to identify the opportunity and load the cart with the correct products and subscriptions. 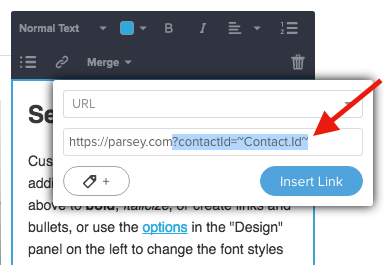 Append &contactId=~Contact.Id~ to the end of the link. Click Update.